Last week we had a little spring preview. 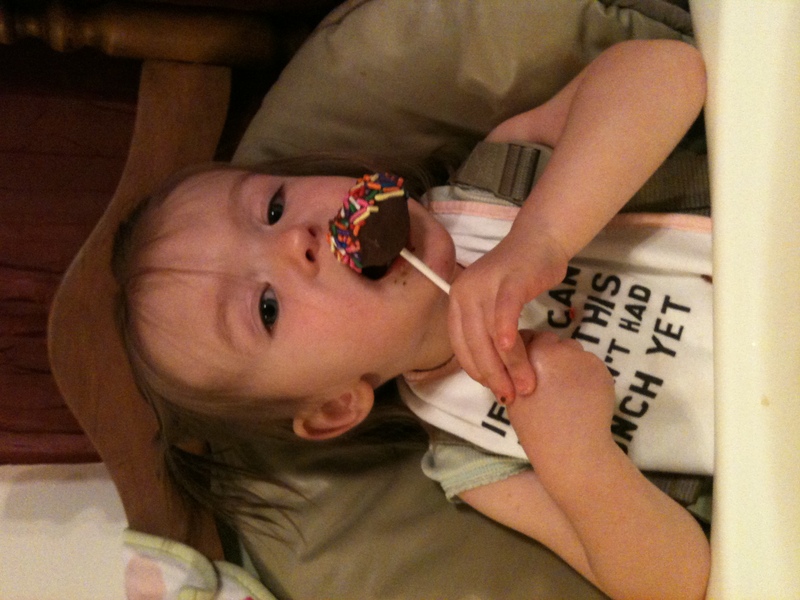 M enjoyed her first cake pops and we got the swings out from the garage! 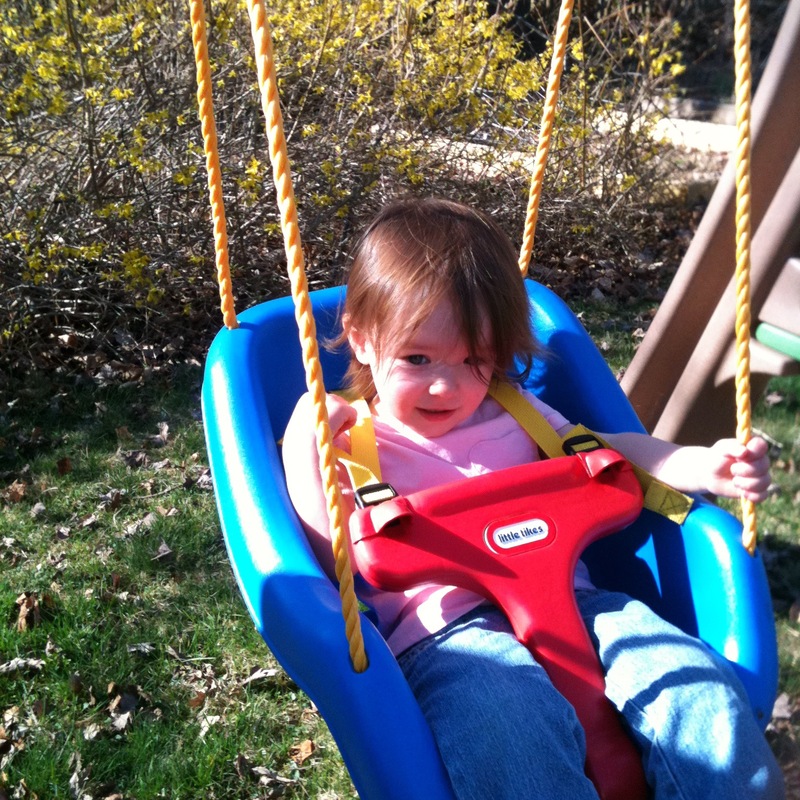 Now all she can say is “outside, outside, outside!” This week, it’s nice and chilly again.